· After emptying your floor or your company, a cleaning team would leave the space clean and in perfect condition. 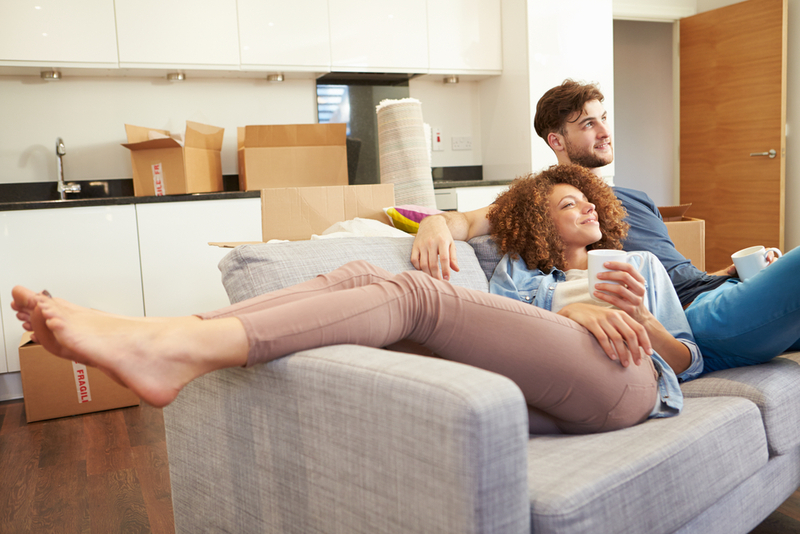 In your new home, our team will deposit each of your items where you need them, including furniture assembly services, etc … Our goal is that you should not worry about anything. Move your home without any stress and just worry about enjoying in your new location. Our moving services include not only the move but also management, organisation and storage units if necessary. We have more than 19 years of experience in the moving and storage sector, which is why our clients continue to trust us day after day. We make moving home quick, safe and effective. We always start with a personalised quote for each move, according to each client’s needs. Contact us to request a quote for your move, with no commitment. Our advisors will provide an on-site assessment in order to coordinate your move in the best way possible and put together a logistics plan (to be approved by the client). Plus, you can ask us anything and get guidance on insurance plans, types of transport, use of storage units, processing permits and licenses, etc. Professionals with extensive experience in the sector will pack and unpack your belongings. As we’ve mentioned before, our main goal here at Moving BCN is to interfere in your life as little as possible, so we offer the option of moving at the weekend or on holidays. .
Our advisors will provide an on-site assessment in order to coordinate your move in the best way possible and put together a logistics plan (to be approved by the client) in order to help your company better adapt to its new location. Plus, you can ask us anything and get guidance on insurance plans, types of transport, use of storage units, processing permits and licenses, etc. Professionals with extensive experience in the sector will pack and unpack your belongings and disassemble and reassemble furniture. Internal moves, removal and destruction of documents and computer equipment. As we’ve mentioned before, our main goal here at Moving BCN is to interfere as little as possible in your professional activity, so we offer the option of moving at the weekend or on holidays. As we’ve mentioned before, our main goal here at Moving BCN is to interfere in your life as little as possible, so we offer the option of moving at the weekend or on holidays. Moving overseas is a complicated task that must be done properly. You must deal with specific procedures through the Consulate, residency permits at home and at your destination, and of course the cost of the move. So cutting the cost of the move by making the actual moving process as affordable as possible is a priority. In addition to saving time and energy that can be better spent on other things. .
A disorganised move can be chaotic and full of unexpected surprises, making professional movers a must. We specialise in international container shipping so we can guide you through how to best pack your personal belongings, or if you prefer we can do it for you. Plus, we have an extensive network of service providers, including container carriers and trustworthy local moving agents, with employees available to monitor every movement of your belongings.